Now that what I like may finally be defined, I humbly look forward to your further guidance. I need to echo the recommendation of Miles Davis, Kind of Blue. That is a seminal album, and defines "cool". I'm also a huge fan of the classic John Coltrane quartet-- although the sax playing is edgy, I get lost in the rhythm section. For my own personal pantheon, this band was as essential as Stravinsky and Debussy are in 20th Century music. The later stuff can be pretty abrasive, but the follow albums all have their moments which to me are among the very best that the last century has to offer in music. As a newbie-- I'd avoid anything that was recorded after 1964. Drew Pearson was another from the period that had some really nice compositions that could be lyrical and introspective- although typically, it showed up on other peoples albums. (Christo Redentor is simply gorgeous). If you check out Grant Green's Idle Moments, or Matador, or Donald Byrd's a new perspective you can catch some great arrangements. Also-- on the "soft jazz isn't jazz" discussion-- this dichotomy has been around for a LONG time. The big band era wasn't all about Duke Ellington or Count Basie-- you also have the likes of Glenn Miller and Tommy Dorsey. Charlie Parker did an album loaded with strings, and Coltrane did a "pop" album with Johnny Hartmann to appeal to the mainstream. Herbie Mann also trod into pop to some degree, but still had Sonny Sharrock do some very progressive soloing on on album. In an interview he said "I was the Kenny G of my generation!" But he went on to say how jazz needed infusions of new styles, and pop to keep it alive. I think there is some truth to this-- although it's more a matter of degree than a simple binary model. Maybe a bit drastic a measure. Just caution, not avoidance, is in order. ... Charlie Parker did an album loaded with strings, and Coltrane did a "pop" album with Johnny Hartmann to appeal to the mainstream. Hey, no mocking. I love the J.Coltrane & Hartmann album. I really do. Incidentally, I think that may be a great disc for you (whoever started this thread... Ciel_rouge??) to check out. I'd agree that the Hartmann album is a success on its own terms, and you're right, it's a good starting point. Late Coltrane (such as Ascensions, Mediations, Om, Live in Seattlle and Live in Japan) I really admire on it's level, but I'd recommend it to someone who likes avante garde music in general. It's profound stuff, but in can be very harrowing. Of all his later works, Kulu Se Mama is a great starting point, in that the addition of African percussionists and the trancy aspects to it make it much easier. I must admit that OM was the first Coltrane album I bought, and it took me a while to come to grips with it- which delayed my getting to know the classic stuff. Although, OM is a fave of mine now, it's pretty freaky stuff. 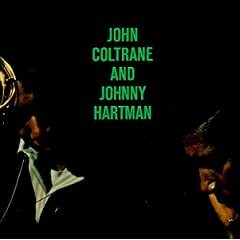 There is nothing "pop" about the John Coltrane and Johnny Hartman recording. Just because a jazz group adds a vocalist does not automatically lower their artistic standards. Coltrane's playing is good, as good as on many of his other recordings before and after. The Cannonball + Nancy recording is another great jazz record. And I liked it A LOT. I wonder which album should I get to have it in a cornerstone original set of tracks, not some weird compilation. Also, did she record it only once or are there any other versions (I would like it to sound exactly like the one on YouTube). You could also make further recommendations based on the fact that I liked this piece and Fitzgerald's voice. And one more thing - in an interview, Fitzgerald mentioned sining mostly bebop at some point. Of course I could check the term on Wiki etc. but it would be much faster and more informative if perhaps someone could paste a couple of links for each major jazz style or sub-genre or whatever it is called ;-) And how about swing? Is it a sub-genre in jazz or someting separate? Any characteristic swing examples? If you like that version of Summertime, you really need to check out Ella's cover of Angel Eyes. A very moody piece, that varies between almost impressionist chords and schmaltz-- but the over effect is haunting beyond compare. I had a version on a Verve Ella collection with only a piano backing-- I see a couple versions on youtube, and haven't listened to them yet. Angel Eyes is one of the tunes where I compulsively collected different covers and versions. Ever tried ECMish smoothnesss like Tomasz Stańko, Anouar Brahem, Bobo Stenson, Jan Garbarek and so on? "fajne klimaty , ludzie ponad poziomem codziennego , życiowego gówna." I recommend any Brahem album except Khomsa. I like world music and I do enjoy it combined with jazz as much as I like them separately. I had stumbled upon Indialucia about a year ago. I also liked the first link. The middle one sort of didn't fly with me. 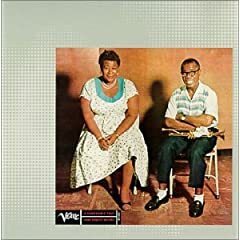 But keep them coming And I have yet to get myself acquainted with the giants, Ella Fitzgerald was a giant leap in my journey towards jazzland. Did you tried Mingus yet? One ECM album I like a lot is Jon Abercrombie's Timeless. Actually, I don't listen to the album as a whole, but the title track is worthy of listening to on endless repeat for several hours. Jack DeJonnette's brushwork and drumming are really superb, and the way the song develops and takes you over is really fantastic. (There is also, for such a lyrical, dreamy tune, some nice meter changes). "At Hollywood's Renaissance club recently, I listened to a horrifying demonstration of what appears to be a growing anti-jazz trend exemplified by those foremost proponents [Coltrane and Dolphy] of what is termed avant garde music..l . I heard a good rhythm section ... go to waste behind the nihilistic exercises of the two horns. ... Coltrane and Dolphy seem intent on deliberately destroying [swing]. ... They seem bent on pursuing an anarchistic course in their music that can but be termed anti-jazz." Miles Davis also got tagged with a lot of virulent reviews when he went electric and incorporated funk and other elements, many saying that he abandoned jazz. ( I love is free form funk bands in the 73-75 period) Those two "non-jazz" artists are two of my very favorite musicians of the last century in any genre. Looking back at the last century or so in Jazz's development, I'd say that a binary assessment of jazz being "real or smooth" is an awfully simplistic model for the many streams of musical development that have been arbitrarily branded with the "jazz" category. If you were to play Ornette Coleman's Free Jazz or Sun Ra to someone who thinks Dixieland is jazz, they would simply freak out. Even "Swing" means something different between Benny Goodman and Sun Ra.